Judges in Tacoma’s immigration court denied bond to seven parents separated from their children. When other parents were released, their bonds often ran higher than elsewhere. Why? “It’s arbitrary,” but geographic trends seemed to play a role. When Guatemalan migrant Nanci Hernandez appeared before an immigration judge at the Northwest Detention Center in Tacoma — her kids thousands of miles away at a Texas facility — the government had one week left to meet a court-ordered deadline to reunite families separated after crossing the border. With the separations sparking international outrage against President Donald Trump’s “zero-tolerance” policy, judges and immigration officials were releasing parents on bond, here and elsewhere, so they could rejoin their children. But in the Tacoma court that stands out nationally for high bonds, Judge John Odell had questions. He wanted to know if she had ever been in the same room as the person offering to put her up in Georgia, a friend of Hernandez’s mother, according to her lawyer, Malou Chávez of Northwest Immigrant Rights Project (NWIRP). Hernandez had not. Odell determined she was a flight risk, and denied bond. Hernandez got out of detention only after being transferred to Texas. 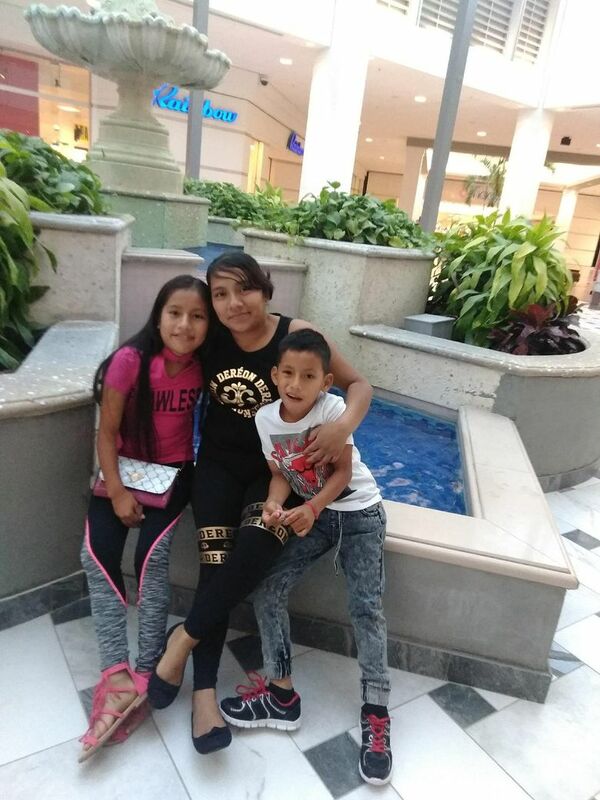 Immigration and Customs Enforcement (ICE) released her there on her own recognizance just in time for the July 26 deadline, allowing her to reunite with her 12-year-old daughter and 8-year-old son. Six other parents separated from their children were denied bond in one of three courtrooms in the Tacoma detention center and in a makeshift courtroom recently set up at the Federal Detention Center in SeaTac, according to NWIRP. Lawyers with clients among the roughly 60 migrant parents transferred here in June say they also have trouble understanding why some received $2,500 or $3,000 bonds while others had to pay $15,000 and up before being released. Most are now elsewhere with their kids, but not all. A judge in SeaTac denied bond to one father Thursday, according to NWIRP. Nationwide, hundreds of families remained separated after the court deadline. The higher bonds set locally are far above those commonly set in at least two other places dealing with separated parents, Texas and Colorado, according to lawyers there. Colorado’s judges typically ordered $1,500 bonds, the minimum, said Brittany Hurley of the Rocky Mountain Immigrant Advocacy Network. The discrepancy reinforces a recent analysis showing Tacoma’s immigration court, along with Hartford, Connecticut’s, gives out the highest bonds in the country. The median at those two courts was $15,000 — twice as high as the national average. Syracuse University’s nonpartisan TRAC clearinghouse did the analysis, looking at 39 courts that held at least 50 bond hearings from Oct. 1 through the end of May. “I think $10,000 or above is a ridiculous bond amount, especially considering it has to be paid in full,” said Jodi Goodwin, an immigration lawyer in South Texas, which has seen many of the separated family cases. In criminal cases, unlike civil immigration-court proceedings, those seeking release usually pay only 10 percent to a bail bondsman, who supplies the full amount. Bail bondsmen don’t usually get involved in immigration court cases, though many migrants arrive destitute. The Tacoma court isn’t always more harsh than its counterparts. It granted bond in 50 percent of cases in the eight-month period analyzed by TRAC, while some immigrant courts rarely granted bond at all. But its bond denials to parents waiting to be reunited with children surprised several immigration lawyers. “That a judge would deny bond is shocking and disturbing,” said Kate Lincoln-Goldfinch, an Austin, Texas, attorney. “One of the injustices of the immigration system is that so much of the outcome … depends on the judge you are assigned,” she added. While that may also be true in criminal court, some have pointed out the stakes are sometimes higher in immigration court, where people can be expelled from the U.S., separated from their families and sent back to possible persecution in their home countries. In 2010, three law professors wrote an influential article titled “Refugee Roulette,” which looked at “amazing disparities” in asylum grant rates even in the same city. Over a seven-year-period, one Miami judge gave asylum to 5 percent of Colombian applicants, for example, while another gave asylum to 88 percent. Odell and other local judges could not be reached for comment. A regional spokesperson for the Executive Office for Immigration Review, the branch of the Justice Department that runs immigration courts, said its judges do not speak to the press. As part of the executive rather than the judicial branch, immigration courts run very differently than most state and federal courts. Its judges lack independence and abide by policies set by the U.S. attorney general — a structure even the National Association of Immigration Judges has said raises questions of conflict-of-interest and due process. A big factor influencing immigration judges is the position taken by ICE, said San Francisco Judge Dana Leigh Marks, allowed to speak to the press in her capacity as president emeritus of the immigration judges association. ICE’s practices also vary by location. Most parents separated from their children were caught soon after crossing the border illegally and were subject to mandatory detention. But many later convinced immigration officials they had a “credible fear” of persecution in their home countries, the first step in an asylum application. At that point, ICE can release them if it chooses. Texas ICE officials went back and forth on bond, but as the court deadline for reunification neared, they generally released parents on $1,500 or $2,500 bonds, or even on their own recognizance, said Goodwin and Lincoln-Goldfinch. An ICE spokesperson said bond decisions are made case by case, and noted that agency officials in the Seattle area “released several individuals” after they passed credible-fear interviews. NWIRP legal director Matt Adams, who has followed the local cases of migrant parents, says he generally saw ICE denying bonds. Hernandez, for instance, had passed a credible-fear interview and was still being held without bond when she went to court. The same went for Ibis Obeida Guzman Colindres, a Honduran mom whose 5-year-old son was taken from her about an hour after being detained, and for El Salvadoran Blanca Orantes, separated from her 8-year-old son after crossing illegally into the U.S. and presenting herself as an asylum-seeker at a Customs and Border Protection station, according to a class-action lawsuit filed by NWIRP. A visiting Texas judge handled Orantes’ case, according to Adams, who represented the El Salvadoran. He said the judge seemed skeptical Orantes had a valid asylum claim, despite her credible-fear ruling. Judges typically don’t delve deeply into the merits of an asylum case at bond hearings, said Ashley Tabaddor, president of the immigration judges association. But they might predict the case’s likelihood of success when considering someone’s incentive to show up for future hearings. Judges also look at someone’s connections to the community, whether they have a source of income and any criminal record, Tabaddor said. “I tell a lot of people it’s an art not a science,” she added. She cautioned against drawing conclusions based on bond averages of different courts. “There’s just no way of comparing apples to apples,” she said. Courts in some areas might have, for example, more detainees with criminal backgrounds than others. She said she didn’t know whether there was anything distinct about the population at the Northwest Detention Center. TRAC, in its analysis of bond variations, said more information is needed to understand the reasons. But it did look at detainees of different nationalities to see if that accounted for the variation. It largely did not.